Visit America's summertime getaway in Key West, Florida. Learn more here! Listed below are other beach properties within a 50 mile radius of zip code 33040. Visit America's summertime getaway in Key West, Florida. 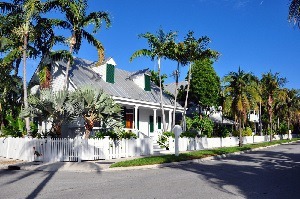 Click here to find this home, Casa De Cuba a Beach House - 3 br, Sleeps 6, and many more places to stay in Key West! Location! Style! Elegance! This restored "beach" home is fabulous combination of everything a great vacation property should be. One half block to Duval Street in the historic district, this location can not be beat. The home's history is rich...neighboring the historic Gato Cigar factory which is now restored and used as county offices. Duval Square is directly across the street with three restaurants, shops, and even a salon and convenience store. The best homemade ice cream in Key West is just down the street! The house is beautifully decorated with warm colors, sophisticated furnishings accented with Cuban and beach themed artwork. There is both a living room and reading area in the front of the house and a indoor/outdoor room to enjoy the tropical lifestyle of Key West. A large farmhouse table sits in the sun room with french windows and doors overlooking the pool directly off the new kitchen with black granite counters and stainless steel appliances. While there are a wealth of great adventure spots and tourist attractions across its the U.S.'s wide span, there is a reason why travelers tend to flock to Florida every summer. 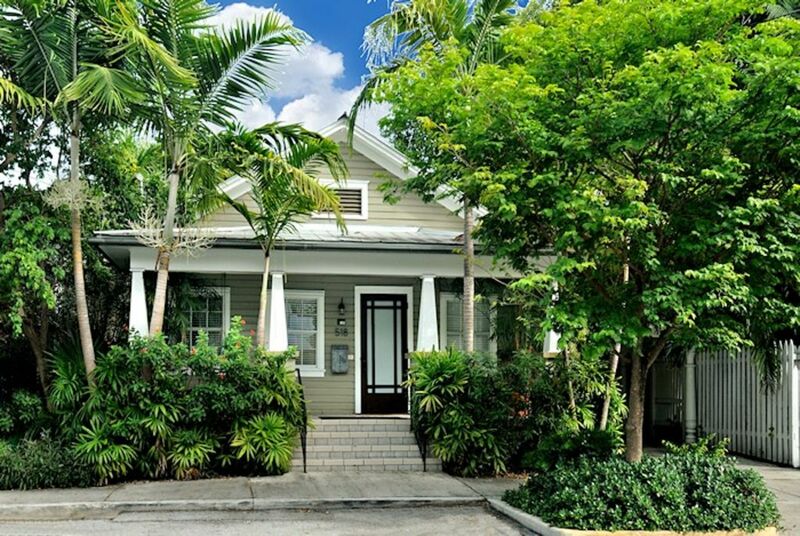 The Sunshine State has a lot to offer vacationers, whether it's the charming city life of Miami or the exciting theme parks of Orlando, but travelers hoping to experience the perfect beach getaway may want to book a beach house rental in Key West. Considered the Southernmost city in the United States, Key West is a small island off the Southern tip of Florida that lies at the very tip of the expansive archipelago. The island is around 4 miles long and 2 miles wide, meaning that the coastline is never too far away, and with the warm water at every turn, travelers will be aching to dive in. With a Key West beach house rental you can explore America's only living coral reef, also known as the third longest barrier reef in the world, making the region a common tourist destination! Yet seaside fun isn't the only thing that Key West has to offer travelers! With vacation beach house rentals indeed the island boasts some of the most active nightlife in the country! Countless bars, clubs and restaurants dot the small island, and visitors will have a wealth of live music and dancing opportunities available - even in the streets. There's plenty of culture to be found in Key West as well, as the island served as the home for famed author Ernest Hemingway during the twilight years of his life. His home can still be found in Key West and has become a popular tourist attractions for people from all over the United States.